The spinal cord leads to 31 pairs of spinal nerve roots that exit the spinal bones. 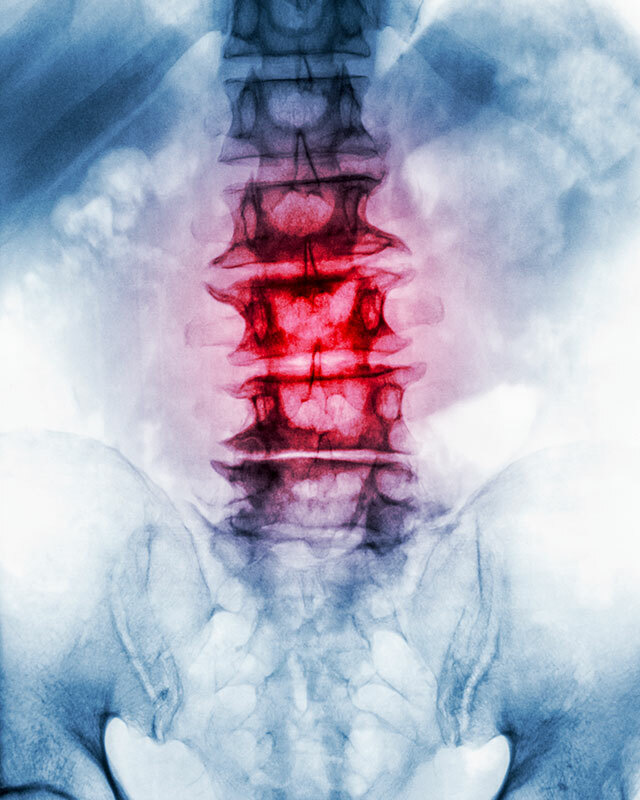 Although the spine offers support and protection for the delicate and sensitive spinal cord and the nerve roots, it can also cause nerve interference when the spinal joints are jammed. You get a ‘pinched’ or ‘trapped’ nerve. Scientific data show that joints in your spine must move normally (in the right directions and through the full ranges) to remain healthy. If this movement stops or has abnormal motion the joint and connective tissue becomes damaged. There is no direct blood supply to the cartilage surfaces in a joint (there is no space inside a joint for a blood vessel, and the loads a joint bears would squash it anyway).